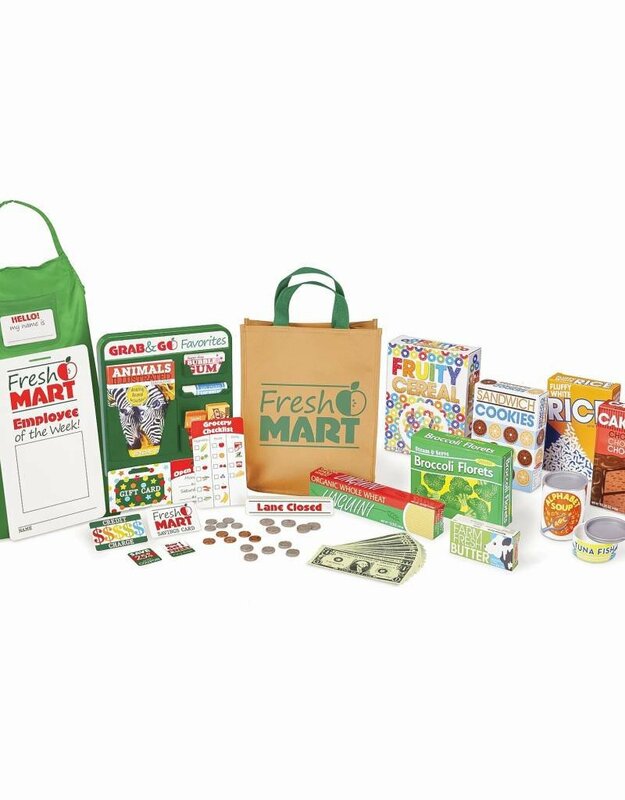 This is the companion set to the Fresh Mart Grocery Store has everything kids three and older need to stock shelves and get shopping! 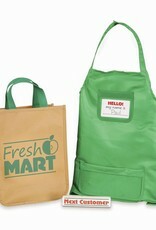 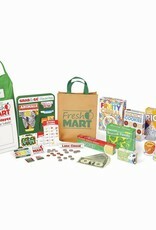 The FRESH MART GROCERY STORE is sold in store only. 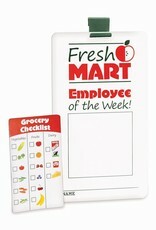 If you are interested in having us ship this to you, please call (734)585-0788 to make special arrangements. 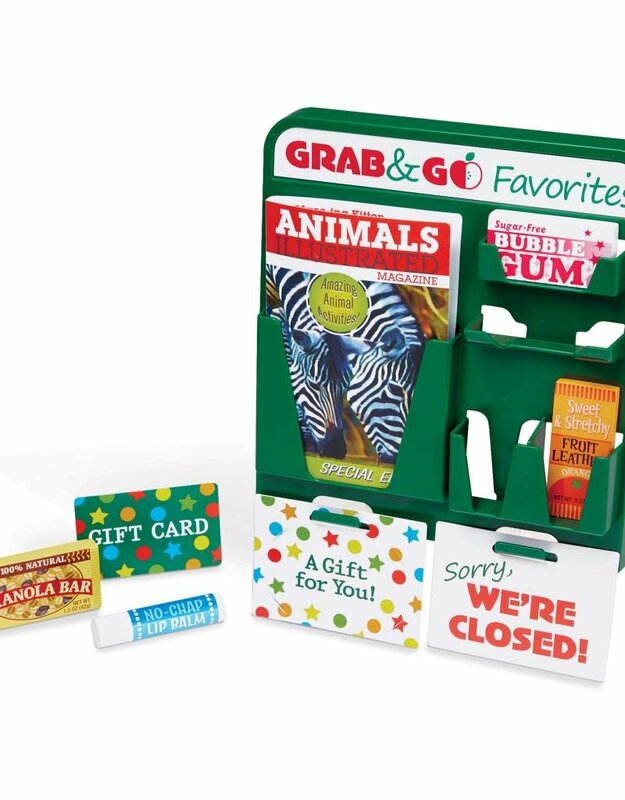 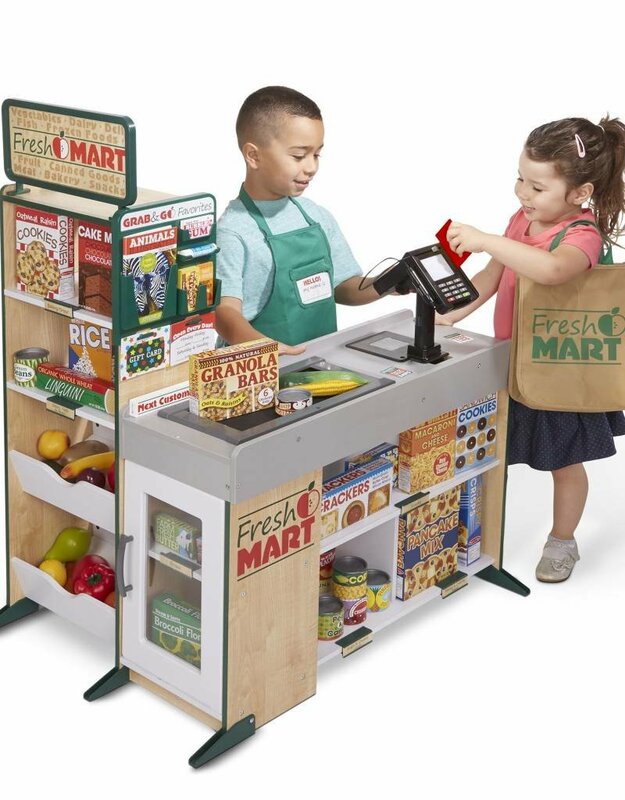 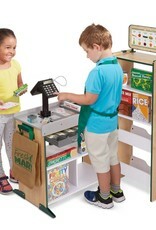 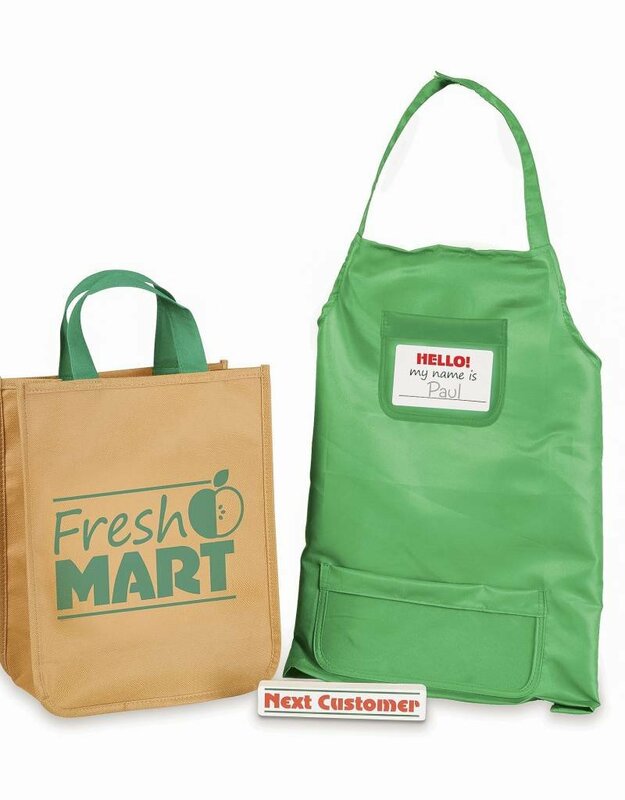 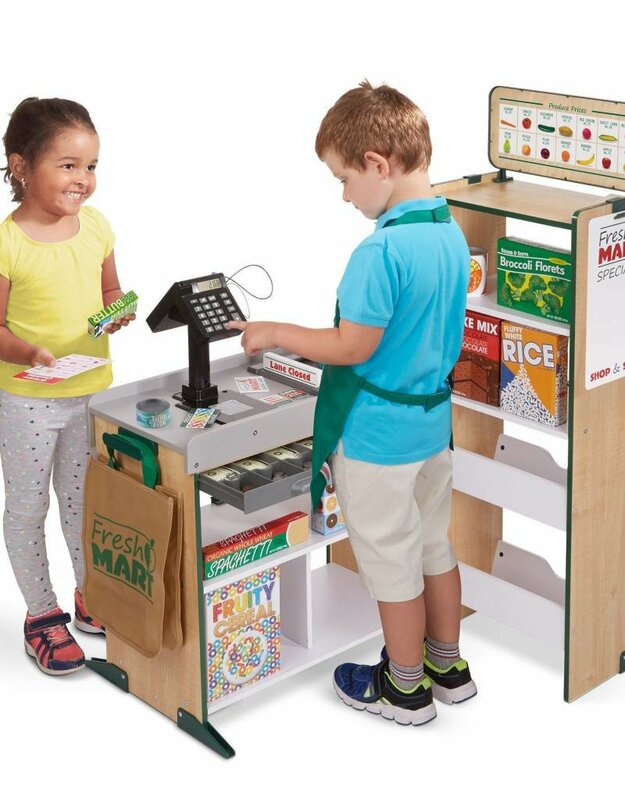 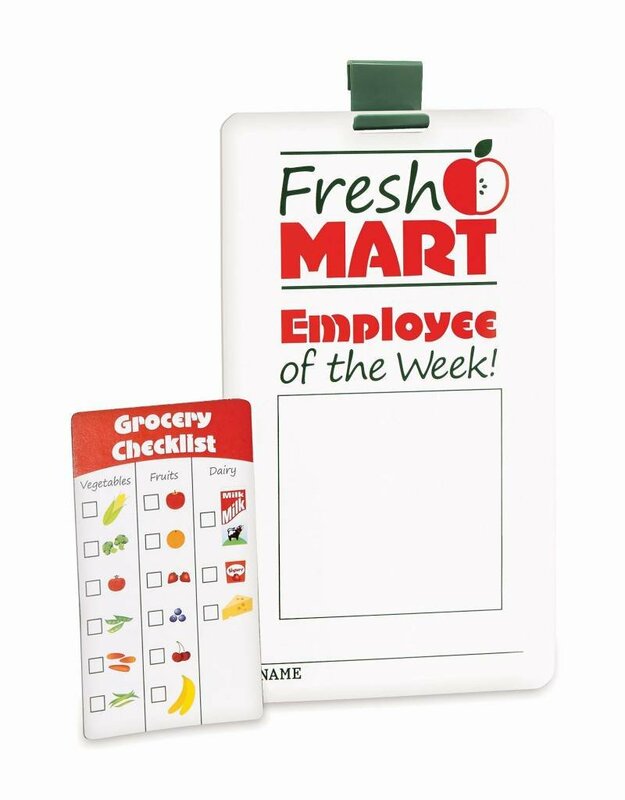 There are 70 pieces to play with, including grocer and shopper role-play items like an apron, conveyor belt divider bar, and a cloth shopping bag, a fully stocked grab-and-go rack designed to hang on the grocery store shelf (holds gum, granola bar, a magazine, and more! 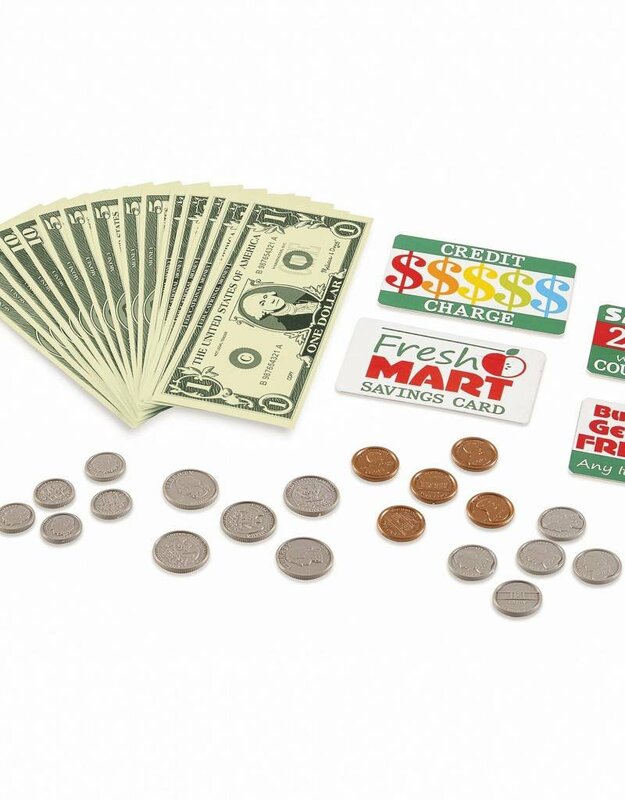 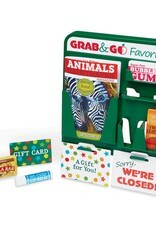 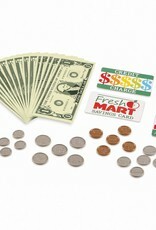 ), play money, cards, and coupons, and grocery boxes and cans! 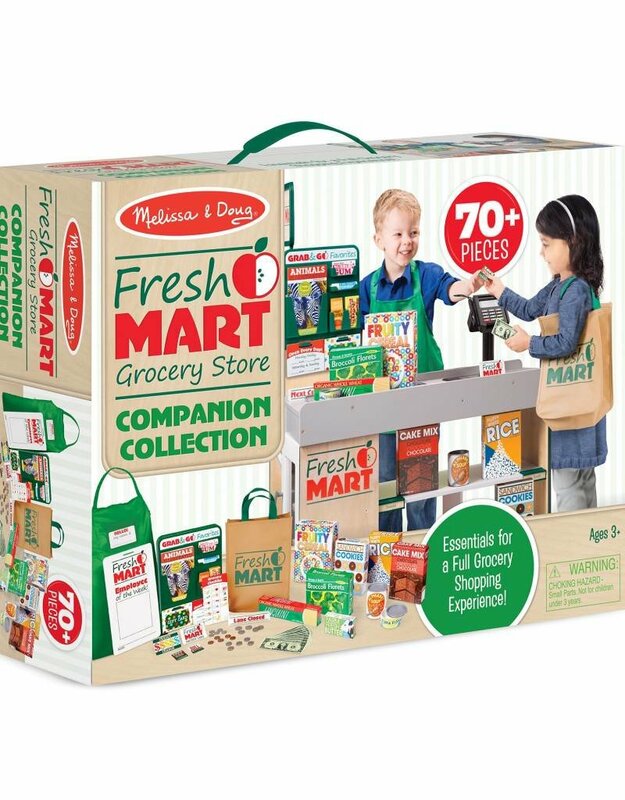 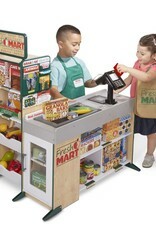 This set plays perfectly with the Melissa & Doug Fresh Mart Grocery Store!